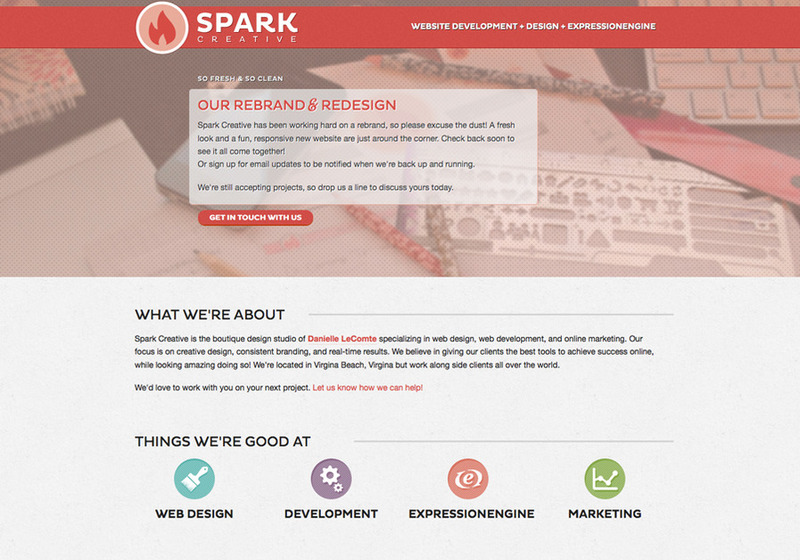 Spark Creative is collaborative studio specializing in web design, web development, and online marketing. Our focus is on creative design, consistent branding, and real-time results. We believe in giving our clients the best tools to achieve success online, while looking amazing doing so! We're located in Virgina Beach, Virgina but work along side clients all over the world. We'd love to work with you on your next project. Let us know how we can help!